- We are in an ideal position, just a short walk from the arrival terminals. - No need to spend money on a waterbus ride (15 euros for 2 people), because you can reach us on foot. - There is always a concierge on hand (day and night) to help with whatever might be needed. - Internet via wifi is available in all the rooms, free of charge. 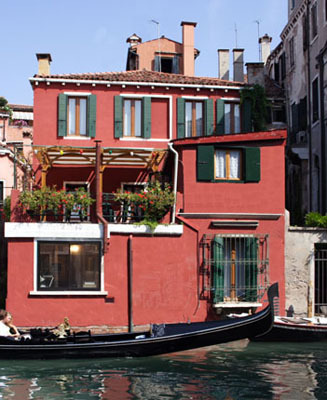 - The hotel looks out onto a sizeable canal, in a romantic spot in Venice. - The price includes breakfast served in the hotel. - A large terrace is open to all guests during the day. - We are a family-run operation: two brothers, Alessandro and Francesco Aidone.